Magnus von Buddenbrock and Stefanie Giesselbach arrived in Chicago in 2006 full of hope. He was 30, she was 28, and they had both won their first overseas assignments at ALW Food Group, a family-owned food-trading company based in Hamburg. Von Buddenbrock had joined ALW—the initials stand for its founder, Alfred L. Wolff—four years earlier after earning a degree in marketing and international business, and he was expert in the buying and selling of gum arabic, a key ingredient in candy and soft drinks. Giesselbach had started at ALW as a 19-year-old apprentice. She worked hard, learned quickly, spoke five languages, and within three years had become the company’s first female product manager. Her specialty was honey. When the two colleagues began their new jobs in a small fourth-floor office a few blocks from Millennium Park in downtown Chicago, ALW’s business was growing, and all they saw was opportunity. The agents asked if anybody was hiding anywhere, then separated von Buddenbrock and his assistant, the only two employees there. Agents brought von Buddenbrock into a conference room, where they questioned him about ALW’s honey business. After a couple of hours they left, taking with them stacks of paper files, copies of computer hard drives, and samples of honey. Giesselbach returned from Germany three days later. Her flight was about to land at O’Hare when the crew announced that everyone would have to show their passports at the gate. As Giesselbach walked off the plane, federal agents pulled her aside. She, too, answered their questions about ALW’s honey shipments. After an hour, they let her leave. The agents, from the U.S. Department of Commerce and the Department of Homeland Security, had begun to uncover a plot by ALW to import millions of pounds of cheap honey from China by disguising its origins. Von Buddenbrock and Giesselbach continued to cooperate with the investigators, according to court documents. In September 2010, though, the junior executives were formally accused of helping ALW perpetuate a sprawling $80 million food fraud, the largest in U.S. history. Andrew Boutros, assistant U.S. attorney in Chicago, had put together the case: Eight other ALW executives, including Alexander Wolff, the chief executive officer, and a Chinese honey broker, were indicted on charges alleging a global conspiracy to illegally import Chinese honey going back to 2002. Most of the accused executives live in Germany and, for now, remain beyond the reach of the U.S. justice system. They are on Interpol’s list of wanted people. U.S. lawyers for ALW declined to comment. In the spring of 2006, as Giesselbach, who declined requests for an interview, was preparing for her job in Chicago, she started receiving e-mail updates about various shipments of honey moving through ports around the world. 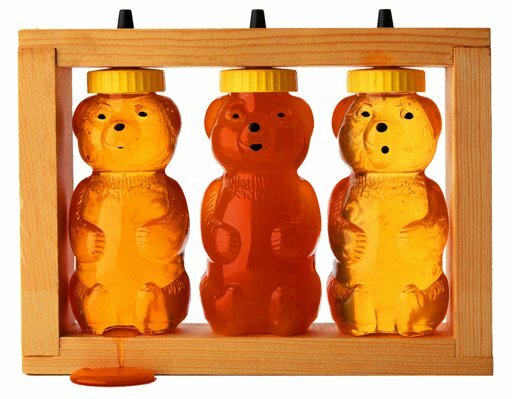 According to court documents, one on May 3 was titled “Loesungmoeglichkeiten,” or “Solution possibilities.” During a rare inspection, U.S. customs agents had become suspicious about six shipping containers of honey headed for ALW’s customers. The honey came from China but had been labeled Korean White Honey.